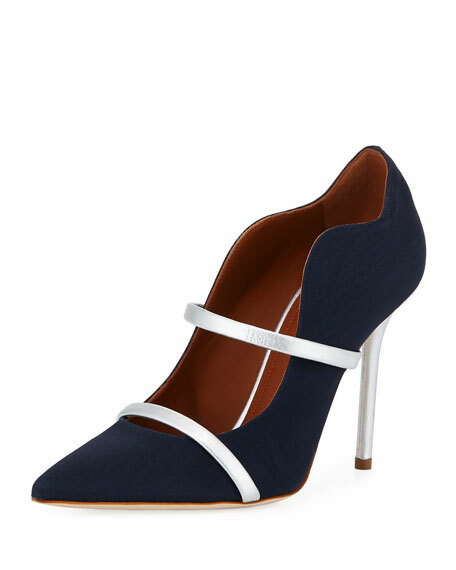 Malone Souliers grosgrain pump with metallic leather trim. "Maureen" is made in Italy. 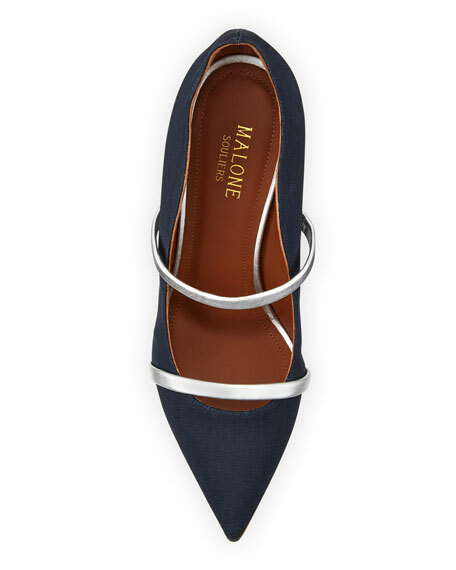 A Pennsylvania native, equestrienne, and former furniture designer, Mary Alice Malone studied at the prestigious London College of Fashion before launching her own labelMalone Souliers. 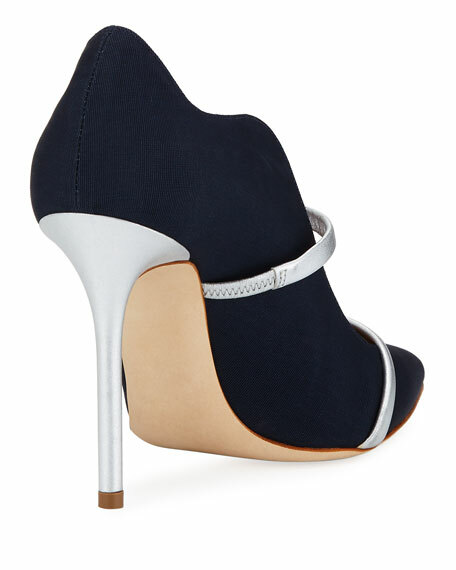 Her bespoke footwear creations are exquisitely crafted by hand in her London studio and Italy, combining rich textures with traditional techniques. Every detail of the line's lace-up sandals, boots, and pumps are carefully considered to be both aesthetically pleasing and engineered with a luxurious fit. For in-store inquiries, use sku #2349744.